By using natural convection, this oven cavity is hotter at the top and cooler at the bottom allowing you to cook several dishes at once. 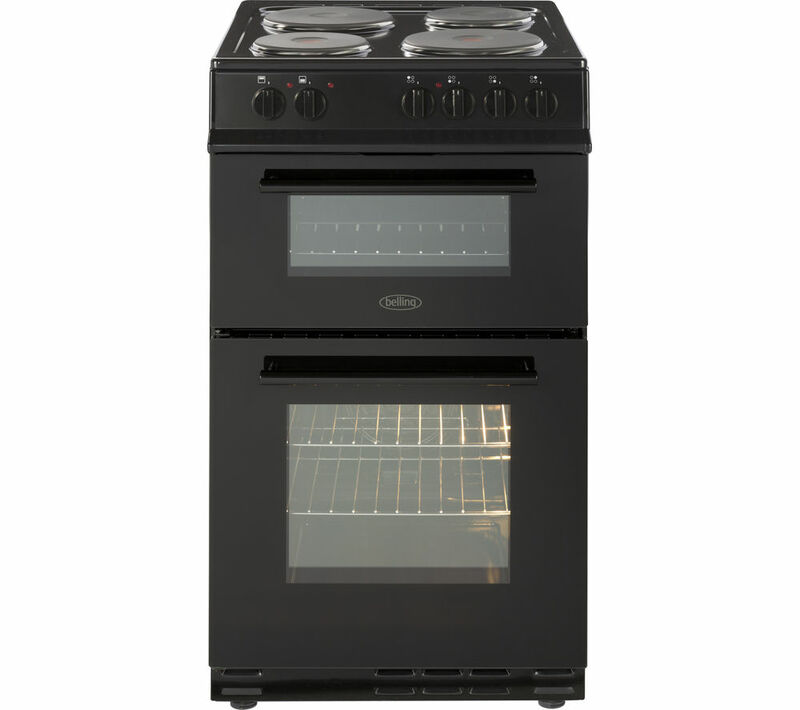 Great for a Sunday roast, the meat can be placed in the middle of the oven, roast potatoes towards the top, and desserts towards the bottom. With a specially-designed enamel interior, food won't stick to the oven surface – allowing you to easily wipe away any spills when cleaning. 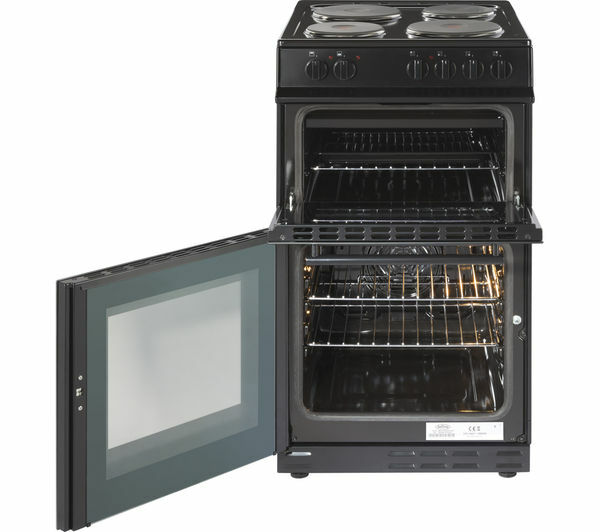 The handy removable inner glass door panel slides out of the oven, giving you direct access to all parts of the door when cleaning – allowing you to keep it clean and ensure you have greater visibility of your meals progress when cooking. 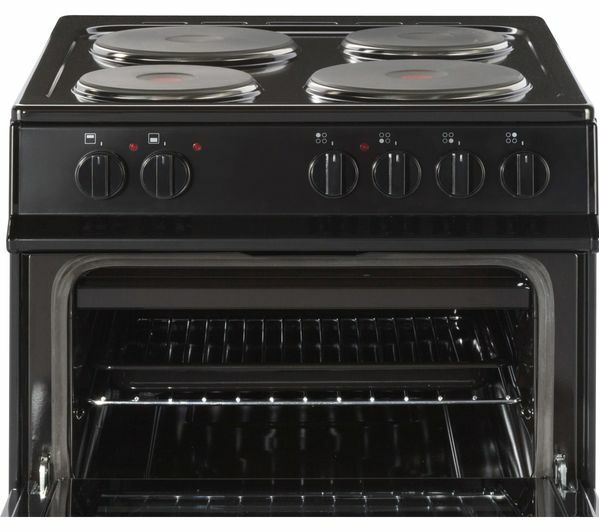 The adjustable feet of this cooker can be moved to align your appliance to the height of your kitchen worktop so you have a seamless look within your kitchen. The main oven comes with an A for energy efficiency, meaning it has less impact on the environment and reduces running costs – saving you money on important bills. 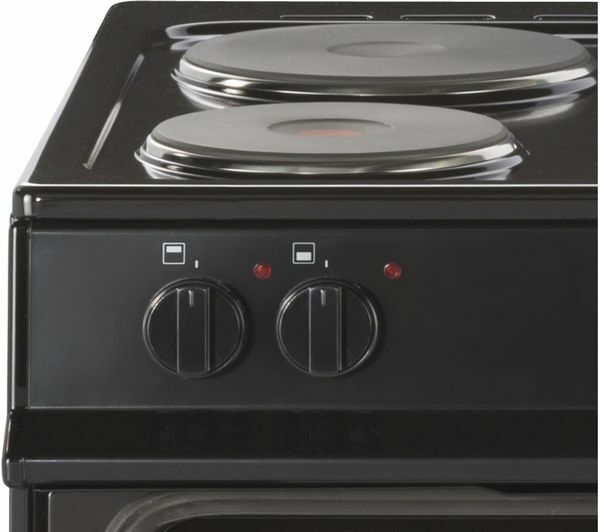 With a 54 litre main oven along with a powerful four-burner solid plate hob, this Belling FS50EFDO Electric Cooker has the space and cooking ability you need to prepare a wide variety of dishes at once.